Scientists have discovered that cruciferous vegetables – such as broccoli, cauliflower, Brussels sprouts, kale and turnips – are brimming with a natural chemical that can significantly lower your risk of cancer. The name of this extraordinary chemical is Indole-3-Carbinol, or I3C. Lycopene is an antioxidant and the pigment that provides the red color of tomatoes. Because of recent epidemiological studies suggestive of lycopene”s role against prostate cancer, the compound has made its way into dietary supplements. These new findings, based on a comprehensive prostate-cancer survival study done on rats, indicate that a combination of the bioactive compounds may offer the best anti-cancer effect. A study suggests that lycopene is one factor involved in reducing the risk of prostate cancer,” said John Erdman Jr., a professor of food science and human nutrition and of internal medicine at Illinois. 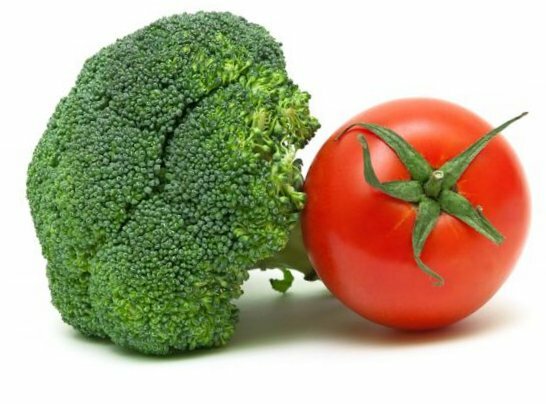 “This also suggests that taking lycopene as a dietary supplement is not as effective as eating whole tomatoes. The study, which lasted 14 months, appears in the Nov. 5 Journal of the National Cancer Institute. Researchers now suggest that the lycopene found in human prostate tissue and the blood of animals and humans who remain disease free may reflect heightened exposure not just to lycopene but also to other compounds that may be working in synergy with it. In the new study, researchers in Erdman”s laboratory at Illinois randomly assigned 194 male rats treated with a carcinogen to induce prostate cancer to diets containing whole tomato powder, pure lycopene or a control. Four weeks later, the rats were divided into two groups, with one having unlimited access to food and the second consuming 80 percent of the first”s average daily intake. At the conclusion of the feeding portion of the study, histological studies on all of the rats” tissues and blood were done at Ohio State under the direction of Dr. Steven K. Clinton. Clinton earned a doctorate in nutritional sciences from Illinois and a medical degree from the University of Illinois College of Medicine. Researchers found that the rats that had consumed the tomato powder had a 26 percent lower risk of prostate cancer death than control rats, after controlling for diet restriction. Other unpublished data in cell culture studies support the idea that lycopene”s role is enhanced in the presence of other phytochemicals in tomatoes, Erdman said. His lab also is collaborating in studies finding that higher blood levels of lycopene in human serum correlates to lower risks of prostate cancer, especially in men over age 65. That work is part of an on-going, long-term study of more than 51,500 male health professionals by the Harvard University School of Public Health. Erdman, who was elected to the Institute of Medicine of the National Academies in October, Clinton and colleagues say that more work is needed to understand the role of the various phytochemicals in tomatoes and to determine whether there are additive or synergistic effects among the compounds. “Our findings strongly suggest that risks of poor dietary habits cannot be reversed simply by taking a pill,” Clinton, a professor of hematology and oncology and of human nutrition, said in an Ohio State news release. “We shouldn”t expect easy solutions to complex problems. We must focus more on choosing a variety of healthy foods, exercising and watching our weight.” Animal-based studies, such as this one involving rats, Erdman said, expand on the epidemiologic findings regarding reduced cancer risks and could pave the way for human clinical trials using tomato products or extracts to protect against the development of prostate cancer. Other co-authors of the study were Thomas W.M. Boileau, who earned a doctorate in nutritional sciences at Illinois and now is a researcher for the Iams Co. in Lewisburg, Ohio, and research scientist Zhiming Liao, statistician Sunny Kim and Stanley Lemeshow, a professor of public health and director of the Biostatistics Program, all of Ohio State.